Windows 8 Pro and Enterprise editions come with the ability to run Hyper-V. If you’re anything like me, you’ll have dabbled with desktop virtualization using the various solutions- Virtualbox, Vmware Workstation/Player/Server (argh) or similar. Whilst I get on well (and typically use) VMware products, having Hyper-V free and native to Windows is a great step forward and something I’ve moved over to recently. Hyper-V requires a 64-bit system that has Second Level Address Translation (SLAT). SLAT is a feature present in the current generation of 64-bit processors by Intel & AMD. You’ll also need a 64-bit version of Windows 8, and at least 4GB of RAM. Hyper-V does support creation of both 32-bit and 64-bit operating systems in the VMs. 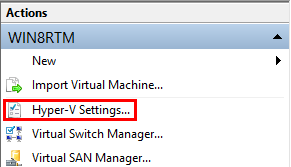 To see if your CPU is capable of running Hyper-V under Windows 8, you can view the AMD supported CPU list here: http://support.amd.com/us/kbarticles/Pages/GPU120AMDRVICPUsHyperVWin8.aspx or look here: http://social.technet.microsoft.com/wiki/contents/articles/1401.hyper-v-list-of-slat-capable-cpus-for-hosts.aspx. You’ll be pleased to know that pretty much any ‘i’ series Intel CPU will work. 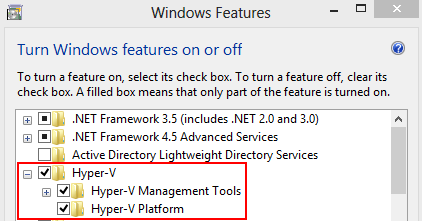 Tick both Hyper-V boxes and select OK, if the Hyper-V Platform tick box is greyed out you may not be able to install Hyper-V on that particular hardware. The machine will now reboot. 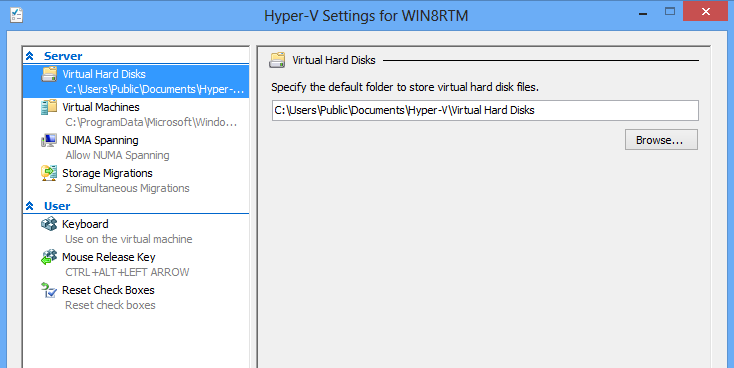 When the machine comes back up you should now have a Hyper-V tile in the modern UI, you can also get to the Hyper-V manager by simple tapping the WinKey and typing “Hyper”. 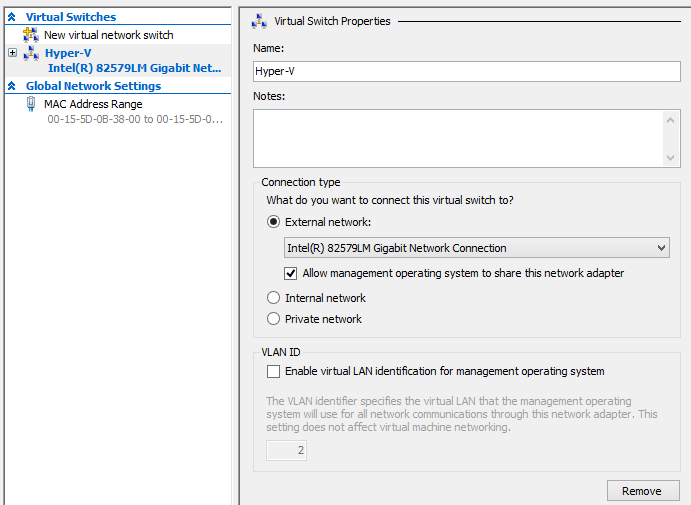 You will need to configure a Virtual Switch before a virtual machine can communicate outside itself. On the right-hand column select Virtual Switch Manager. Select new virtual switch and decide on the switch type. External should suite most purposes. Give the switch a name (this will be used later when you are creating virtual machines) and select with network interface to use. I only have a single NIC on my motherboard, so I chose that. …and there we have it. 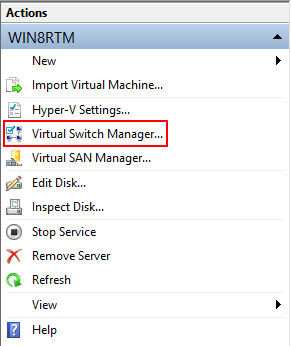 Hyper-V up and running with a virtual switch ready to host virtual machines. 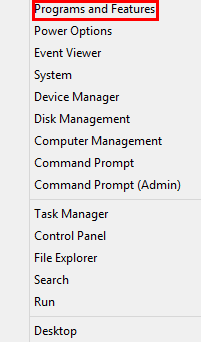 Select Hyper-V settings in the right-hand column.